Listen to our weekly show on finding the value in the gadgets we already have. Go ahead and subscribe. In this week’s episode, Ugo and Janet interview Nathan Proctor, Director of US PIRG’s Right to Repair campaign. 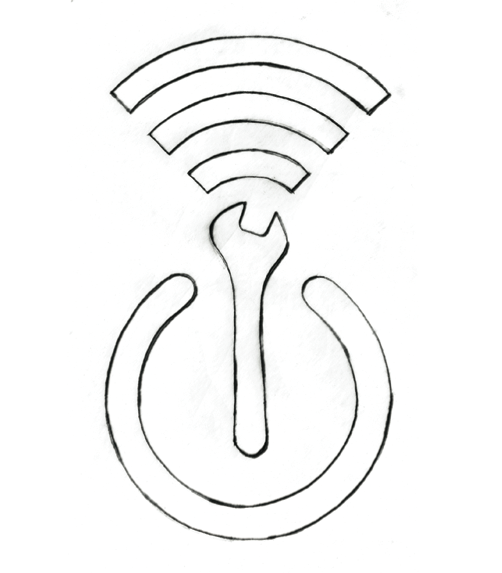 We talk about the origin and activity of this movement, and generally about our right to fix our devices. First, we discuss the story of Eric Lundgren, who attempted to distribute copies of Microsoft software allowing repairers and refurbishers to restore Windows installation in computers already licensed to use it. Even though this software is available online for free, and Lundgren’s only crime was counterfeiting the packaging, he’s been sentenced to 15 months of jail and he reported to a US federal prison last Friday. Nathan was recently in the news defending this case, which is helping spread the word about the right to repair movement. Nathan comments on the tension between copyright laws and repairing initiatives, and on how the charges against Lundgren have been excessive. Next, we talk about the origin and activity of the US Right to Repair campaign. They work to provide consumers and third party businesses with repair information, and to make pressure at state level on US law to ensure that we have the option to repair our devices. Nathan refers to the 2012 Massachusetts general elections when a citizen-initiated car’s right to repair measure led to the Automotive Right to Repair Law – forcing manufacturers to provide spare parts to mechanics. Janet highlights that, despite more silently, this regulation has also been achieved in the EU. Why are people starting to stand up for our right to repair? Nathan notes that there is an increasing awareness that we all have “a broken relationship with stuff”. He is convinced that this relationship is changing thanks to do-it-yourself (DIY) initiatives that motivate people to own and fix their devices. A few weeks ago, we interviewed Susanne Baker, from techUK, who argued that safety is a major issue that can constrain our right to repair. Nathan calls for more trust in the public, who should also be given access to official repair information from manufacturers to ensure safety. 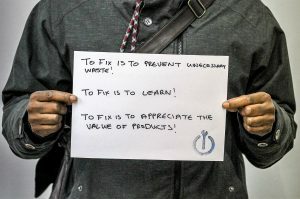 As he states, we need more and more people to join the repair movement if we want to change our throwaway culture and tackle the growing issue of electronic waste. Manufacturers promote this growing stream of waste by making their repair services too costly or unavailable, which leads most people to replace rather than repair their devices. As an example, he mentions the recent fine to Apple in Australia due to denying repair services to consumers who had previously taken their devices to third party repairers. Finally, Ugo mentions how the US Right to Repair movement focuses on third party repairers, while in the EU we have a lot more community repair initiatives, such ours at Restart. Nathan argues for more collaboration and coordination between these two actors. Janet refers to the Restart Centre in New York, where students and educators can also be seen as repair activists. Educators, tinkerers and third party repairers can all benefit from lower barriers to repair. And as Nathan argues, public involvement at the local level should help push right to repair regulations further.